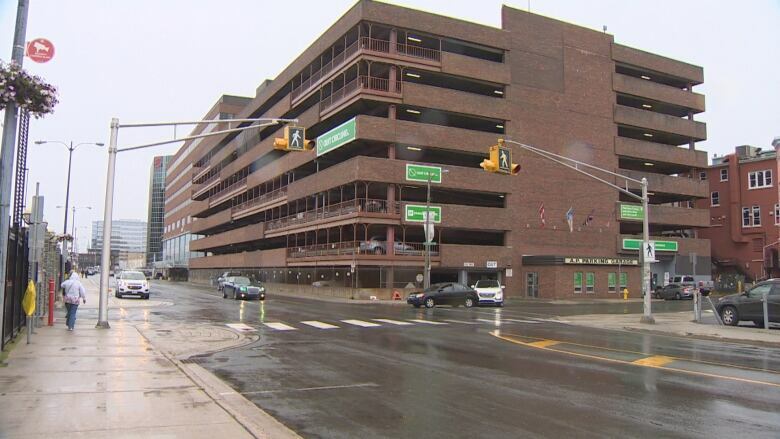 A request made by the owners of the Atlantic Place parking garage to add a four-storey hotel to the top of the existing structure is being debated by council. 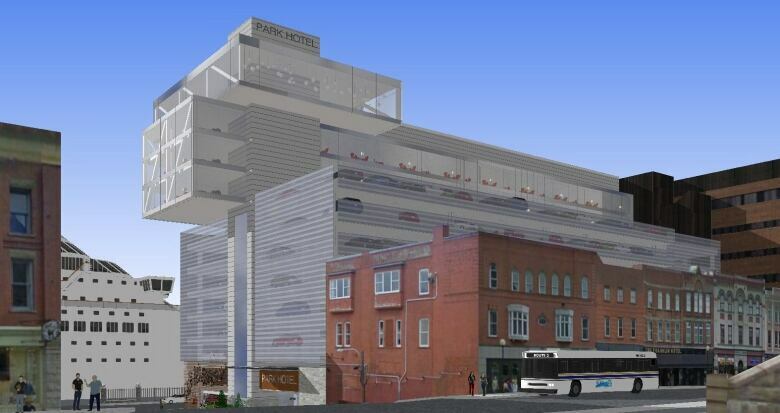 A request made by the owners of a downtown parking garage to add a four-storey hotel to the top of the existing structure is being debated by St. John's city councillors. The proposed structure would be nearly as tall as Atlantic Place next door, according to a report from the city, and rise 12 storeys, but there's a snag. Under the current district and zoning restrictions for that area, buildings can only be a maximum of 11 storeys unless an exemption is made. Coun. Hope Jamieson does not support the amendment, and was one of three councillors who voted to reject it. "I've heard loud and clear, again and again, from residents that they really value the historic character of our downtown, and that the downtown is really the crown jewel of our city," Jamieson said on Wednesday. 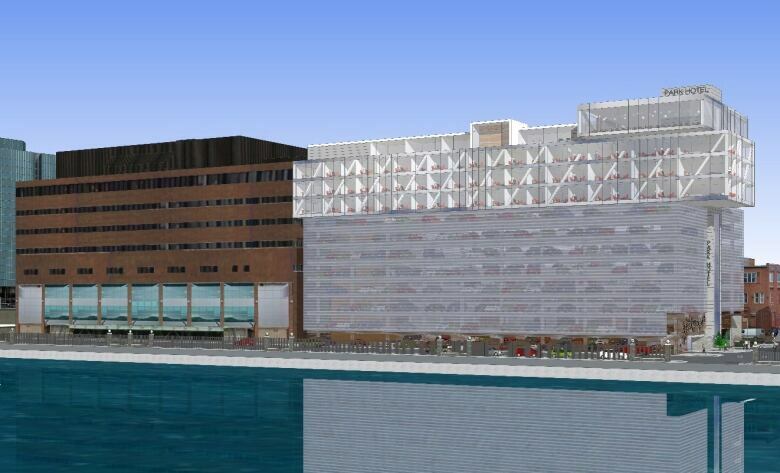 "For that reason, I can't entertain any proposal that would suggest an increase in building heights in the downtown." 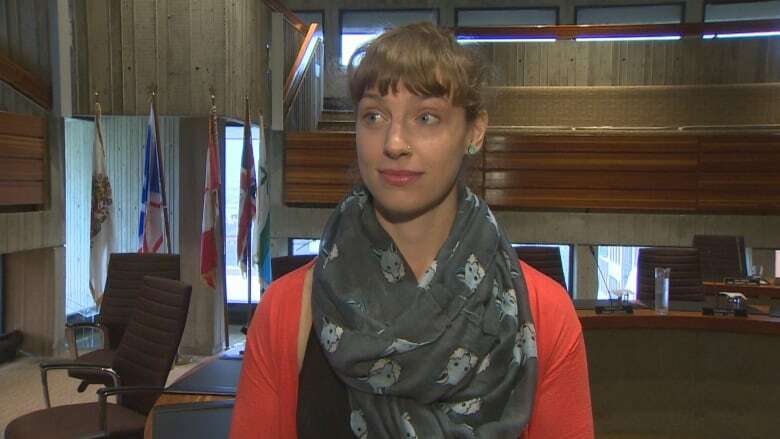 While the proposal meets the floor-area ratio requirements, if the height is allowed to pass, the downtown building control map in the municipal plan and development regulations would have to be amended to reflect the increase in storeys, according to the city. 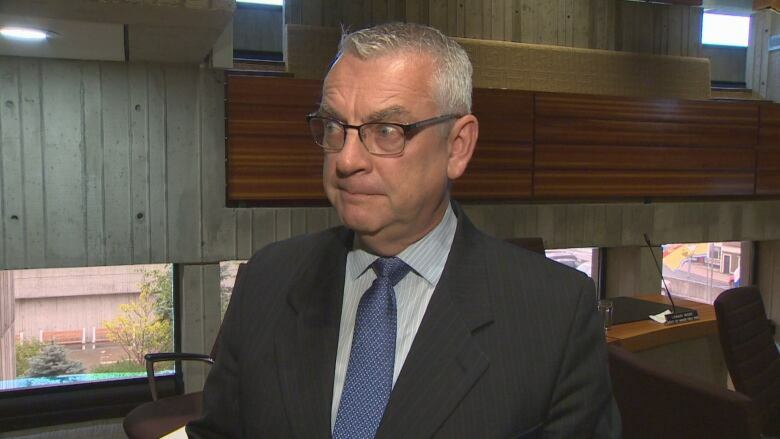 Jamieson admits if the building proposal were to remove one storey, making the new hotel three storeys tall and the entire project as a whole 11 storeys tall, the hotel proposal could go ahead. "It's a matter of principle for me. While the regulations state this currently, I can't use my discretion as a member of council to say, 'Yeah sure, go higher,'" she said. Mayor Danny Breen said the hotel proposal is worthy of going through the process of gathering information and details for the city and putting the idea out to the public for input. "It may actually be good in starting the conversation about what we do in the downtown and what we can do in the future," Breen said. "I certainly go into every application with an open mind. What's proposed here now, I said in the meeting it's not exactly something that I personally like, but I'm one person. There's modifications that can be made, there's other changes that can be made." The proposal included the promise to keep the 600 parking spaces already in the parking garage, and is something Breen says is a creative idea for a new hotel. "I think we owe it to the public to pursue getting the information for them so a proper decision can be made," he said. "On important issues like this, I don't like sitting down in a vacuum and making those decisions based on my own personal preferences. I'd like to see the homework done. I'd like to see what impact it will have."